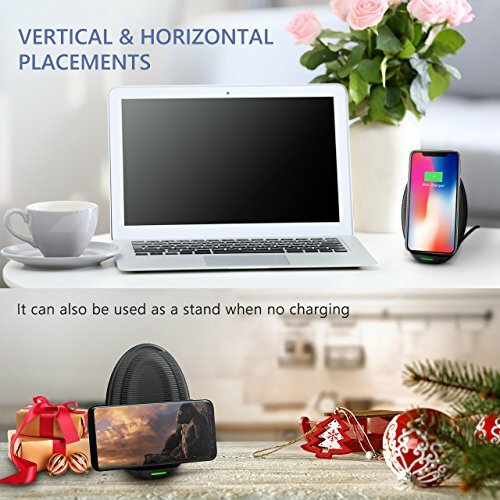 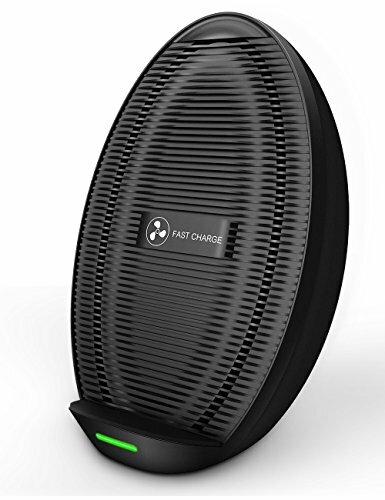 【WHAT YOU GET FROM SENEO】 1 x SENEO fast wireless charger stand; 1 x 3ft Type-C cable (NO AC ADAPTER); 1 x User Manual ; 1 x LIFETIME Manufacturer Warranty; Feel free to contact us if any issue occurs, we will get back to you ASAP. 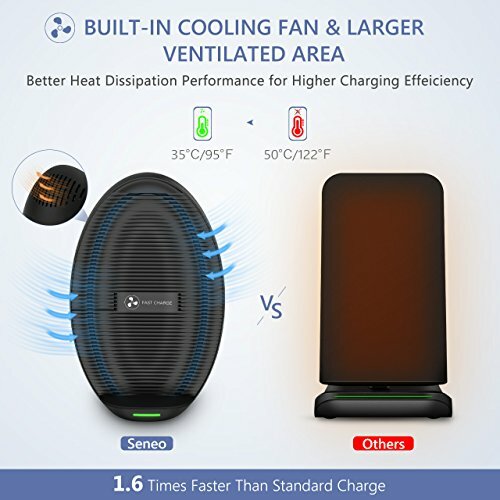 【BUILT-IN COOLING FAN】 With upgraded technology, Seneo wireless charger with fan helps dropping the temperature (15℃/27℉ lower than wireless charger without fan) of qi wireless charger and your phone during charging, thus increasing the charging speed (1.6 times faster than standard wireless charger) and protecting your devices simultaneously. 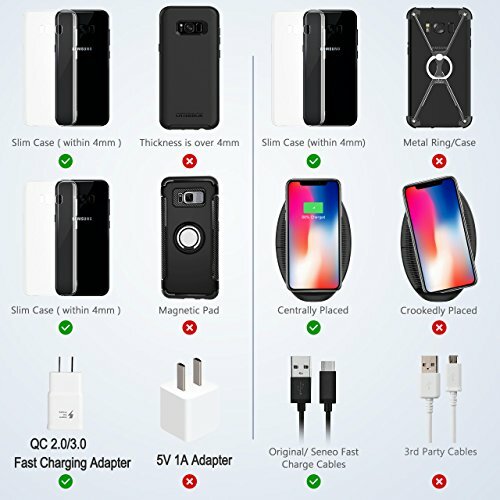 【FAST CHARGE MODE】With QC 2.0 /3.0 adapter (NOT INCLUDED) and fast charging USB-C cable, fast charge mode ONLY supports Samsung Galaxy Note 8, S8, S8 Plus, S7, S7 Edge, S6 Edge Plus, Note 5; 【STANDARD CHARGE MODE】With 5V 2A adapter (NOT INCLUDED), wireless charger supports iPhone X, iPhone 8 and iPhone 8 Plus and most Qi-enabled devices. 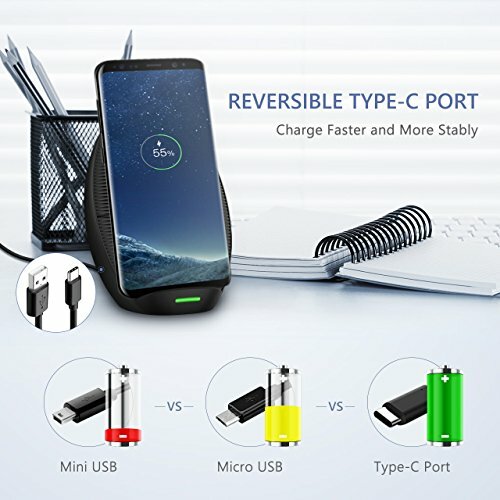 PLEASE NOTE THAT WIRELESS CHARGING IS SUPPOSED TO BE SLOWER THAN REGULAR WIRED CHARGING AS IT PROTECTS YOUR DEVICES CHARGING PORT AND PROLONG BATTERY'S LIFE. 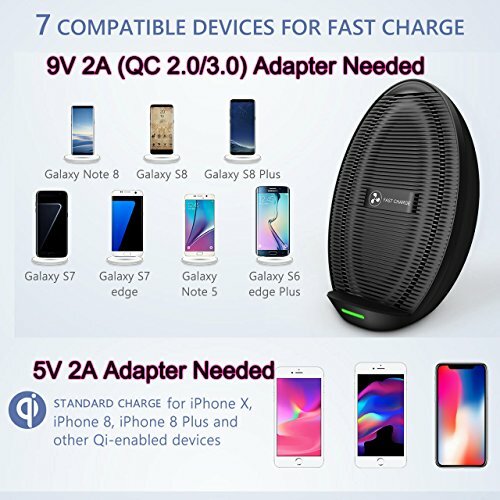 【3FT TYPE-C CABLE】 Come with USB-C cable and type-c port, Seneo fast wireless charger provides quicker and more stable charging efficiency.【EASY TO USE】 (1) Connect the charging stand with power source via QC 2.0 AC adapter or above (NOT INCLUDED); (2) Take off phone case for best charging result; (3) Site phone on the center port of the stand. 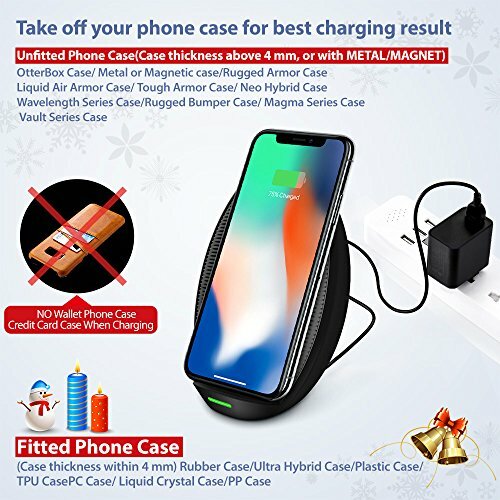 PLEASE NOTE THAT CHARGING WITH PHONE CASE (ESPECIALLY THICKER ONE) ON MAY INFLUENCE THE CHARGING SPEED.